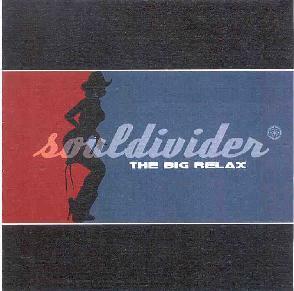 Souldivider - "The Big Relax"
Souldivider hail from Sweden and although they are grouped with the Stoner Rock guys, they don't really fit this category. They have the groove but not the heaviness. The band have some excellent hooks on these hard rock compositions. I really liked the groove of the tracks and the nice dual lead guitar (á la Thin Lizzy). The first song, A need To Escape, had a hook that reminded me of Fu Manchu or Nebula, but lacking the aggressiveness of the former bands. Anymore, is a really stand out track with some nice guitar. The third song, Strange Feeling 4am, is clearly inspired by the song Emerald by Thin Lizzy. I would love to see bands like this break the traditional song writing style and try to jam a little more, especially when they seem to have good interplay between the two guitar players. Inhale Your Destination is a slow mover, something FREE might write if they had heard Kyuss. Ha…Finally, Second Ride really rips it up with a fast pace and is much like 80's heavy metal, quite a surprise after the other songs. Good power riff. A very promising new band. Check them out on the web and look for them to appear on a compilation CD put out by the Chilean Grinder Magazine. For more information you can visit the Souldivider web site at: http://www.souldivider.musicpage.com. Contact via snail mail c/o Mattias Nilsson; Trysilv„gen 25b, 2tr. ; S-653 50 Karlstad; Sweden.